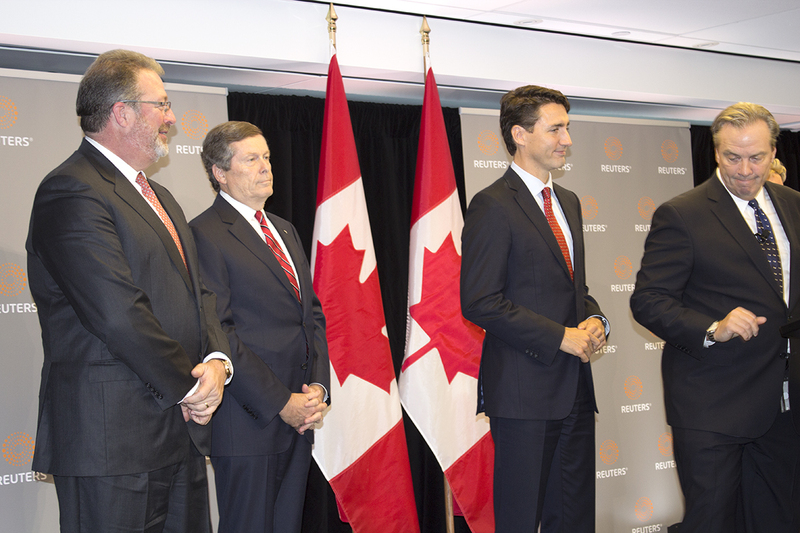 The Toronto Technology Centre is expected to create 400 high-quality technology jobs in Canada . 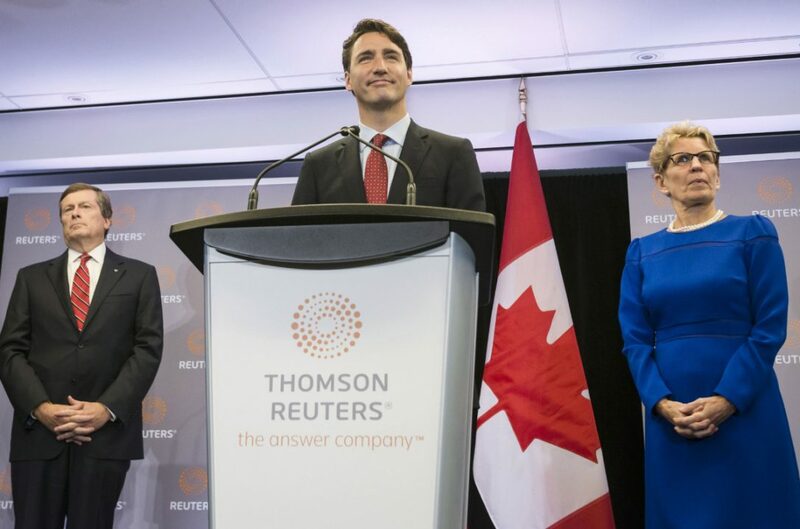 On Friday October 7th, 2016, RainMaker Group President, Adam Lepofsky, joined Jim Smith, President and Chief Executive Officer of Thomson Reuters, together with The Right Honourable Justin Trudeau, Prime Minister of Canada, The Honourable Kathleen Wynne, Premier of Ontario, and His Worship John Tory, Mayor of Toronto, for an important announcement about a new technology initiative in Toronto. 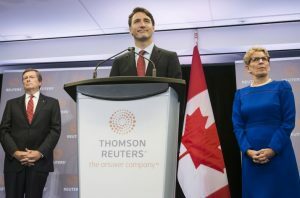 It was announced that Thomson Reuters will be expanding its Canadian operations with a new Toronto technology centre that could create up to 1,500 jobs over the next two years. 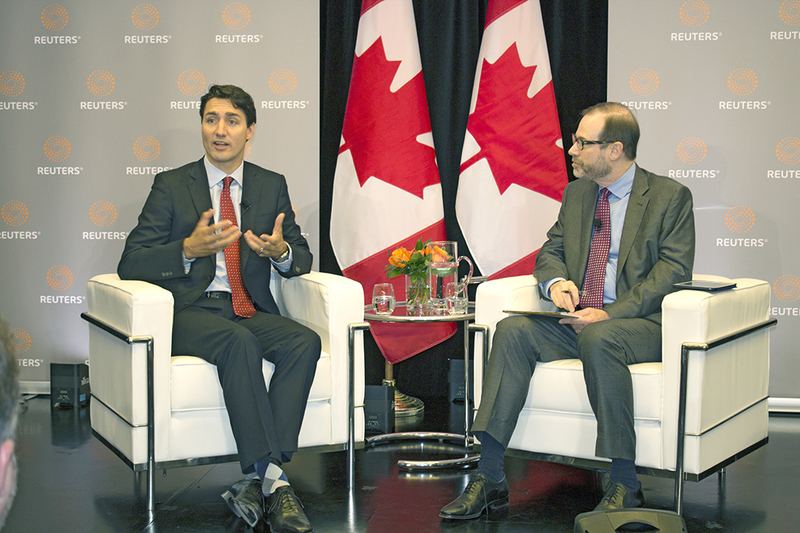 “Today’s news is an example of how great things can happen when the public and private spheres work together — for the betterment of Canadian workers and Canadian families,” said Trudeau. 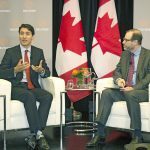 Prime Minister Justin Trudeau sat down with Stephen Adler, President and Editor-in-Chief, Reuters after the announcement of a new technology centre for Toronto. 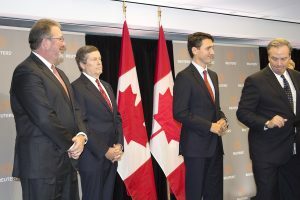 Jim Smith, CEO, Thomson Reuters shared the stage with Toronto mayor John Tory and Prime Minister Justin Trudeau at the announcement of the creation of a new technology centre and expansion of Thomson Reuters corporate presence in Toronto. 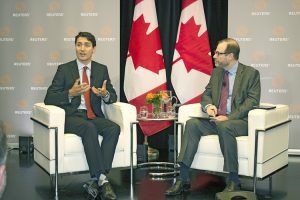 “Today’s news is an example of how great things can happen when the public and private spheres work together – for the betterment of Canadian workers, and Canadian families,” said Canadian Prime Minister Justin Trudeau.